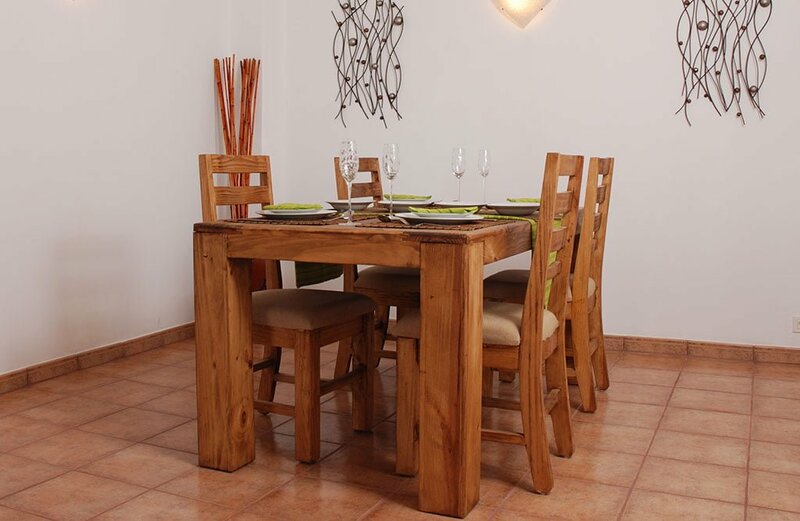 Casa Ida is a spacious apartment and the perfect getaway for 2 people. 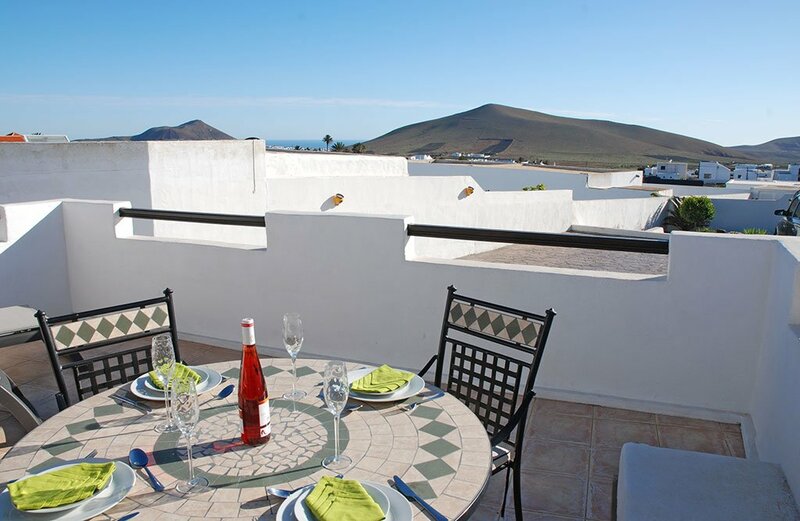 Located in the centre of the island, it’s an ideal spot to enable you to get out and about to visit the many treasures Lanzarote has to offer. 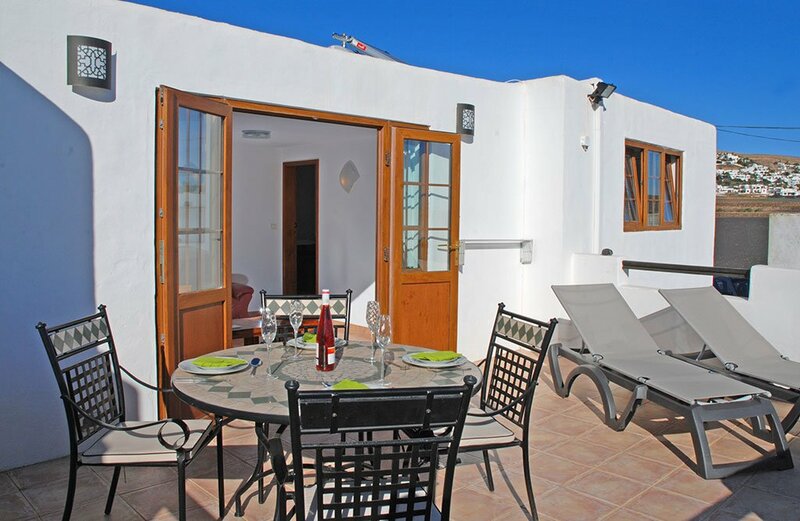 Casa Ida is becoming increasingly popular with bird watchers, walkers, cyclists etc wanting a base in rural Lanzarote. Free wifi enabling you to stay connected whilst lapping up the beautiful Lanzarote sunshine. Out on the terrace you will find a table, chairs, sunloungers, parasol and BBQ. This property does not have access to a pool. Moving inside, you’ll find a comfortable and spacious lounge area complete with 40″ wide screen TV on which to enjoy the extensive British TV channels, including movies, sports etc. German and Spanish TV is available on request. You will also find a DVD player, so feel free to bring your favourite movies with you and for the music lovers, we also provide an iPod docking station on which to listen to your music. In the kitchen, you will find it has everything you need, including a full cooker, fridge/freezer and microwave. 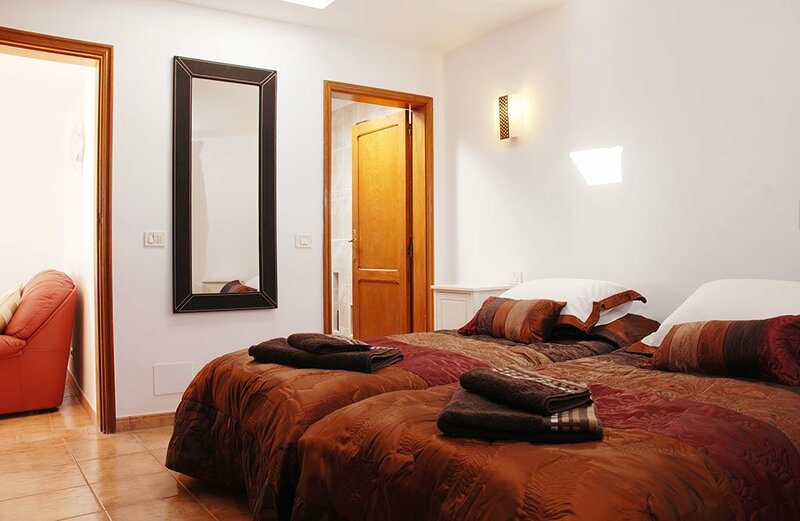 There is one bedroom with twin beds with it’s own en-suite bathroom. There is one further WC in the apartment for convenience. Beach towels are provided for use during your stay, saving you the luggage weight and inconvenience of bringing your own. There is a well-stocked supermarket within walking distance. There is also a Sociedad, within walking distance, where you can eat and drink very cheaply. We provide a complimentary welcome pack including tea, coffee, beer, champagne, water, bread, ham, cheese, etc. Casa Ida is not suitable for children. The apartment has a comfortable and spacious lounge area with leather suite and a dining area with seating for 4 people. 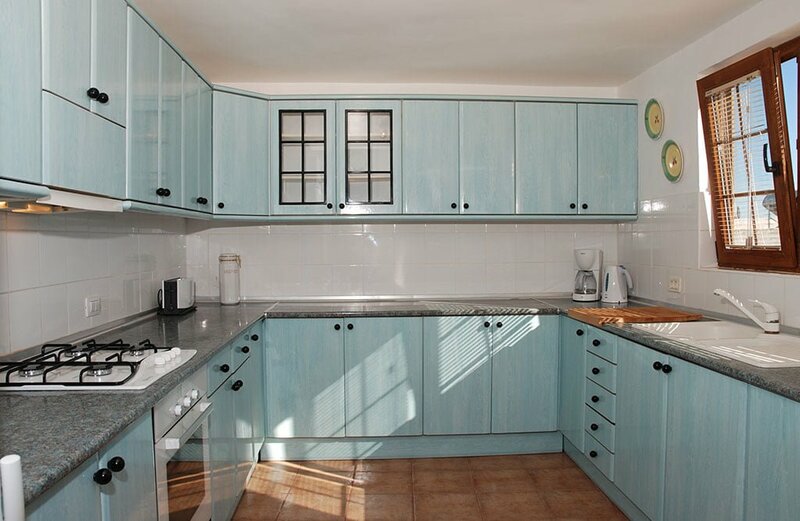 The kitchen is fully-equipped with a full cooker, fridge/freezer and microwave. The master bedroom has 2 twin beds and an en-suite bathroom. 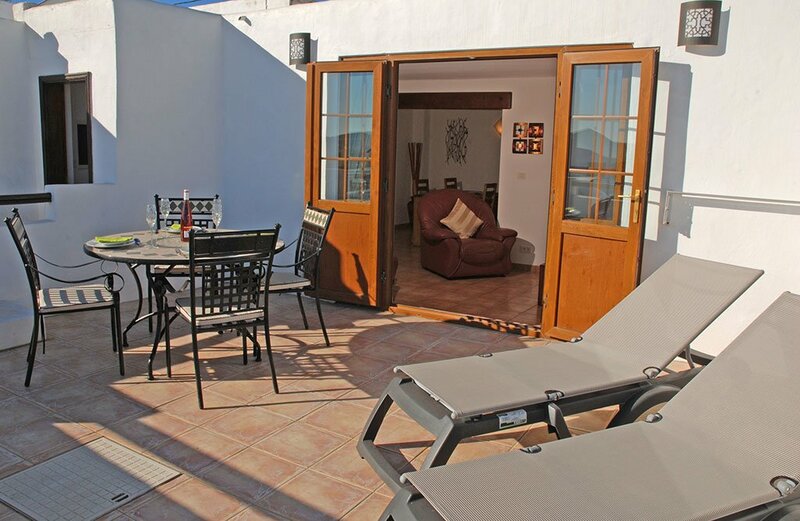 There is a private terrace area with table and chairs, sun loungers, parasol and barbecue. In front of the property there is a very large driveway/parking area, great for unpacking hang-gliders! Continue along the dual carriage until you see a sign for the CIRCUNVALACION and move into the left hand lane, following the signs for the CIRCUNVALACION and turn left. (TIP – there is a petrol station on the right hand side of the road at this point – do not use this petrol station, because you can’t get back to where you need to be and you will end up in Arrecife!!) (TIP – there is a petrol station approx 500 metres on the right on the CIRCUNVALACION). Continue along this road. Leave the CIRCUNVALACION at the junction signposted for ORZOLA. After turning right at this junction, you will come to a roundabout, turn left and follow signs for TAHICHE. Stay on this road, crossing 4 roundabouts, straight through the village of TAHICHE, following signs for TEGUISE. Follow this road down for a few hundred yards and you will see a building on the left with a round window, marked number 29 on the postbox on the wall. Pull in to the driveway and you have arrived at Casa Ida.